This summer I’m facilitating two online book groups and I would love for you to join me! 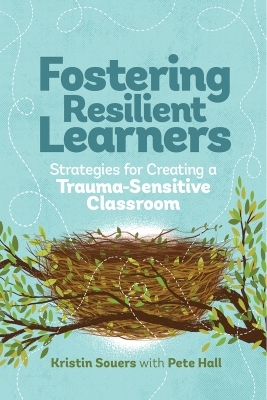 This fantastic read, by Kristin Souers and Pete Hall, succinctly and compellingly outlines the basic information and approaches for creating a trauma-informed classroom. Each chapter has concrete examples and great reflection questions. This book is a “quick read,” which is good because you’ll want to read it two or three more times! I highly encourage this book for anyone who’s just getting started with trauma-informed teaching, or for anyone who’s looking to better communicate some of these concepts out to your staff. There are several great activities, metaphors and examples that you’ll immediately want to share with others. This book group is three weeks long and each week you’ll read about 50 to 70 pages. impacts children, and how adults can help in the healing process. This book is for you if you’re looking for more in-depth knowledge on how trauma affects the brain and the body. This book group is five weeks long and each week you’ll read about 50-60 pages. Please be aware that, because this book uses real and specific examples of abuse and neglect, it can be quite triggering and/or hard to read. In our discussions we’ll build in time and space to process the emotions that come up while reading this book, and I encourage folks reading it to take breaks or skip sections as needed. connected to the theme of the week’s reading. At the end of each book group, I’ll be hosting a live video chat for participants to discuss our learning, ask questions, and brainstorm next steps in our work. When completed, you’ll receive a certificate for professional development hours, and you can also use your learning for this course toward the Trauma-Conscious Teaching Microcredential. Please feel free to get in touch, or simply sign up! Click the title of the books above for the link to the registration pages. I hope to learn with you this summer!